Paper, $14.95. Re-reading by Kathleen Brown. 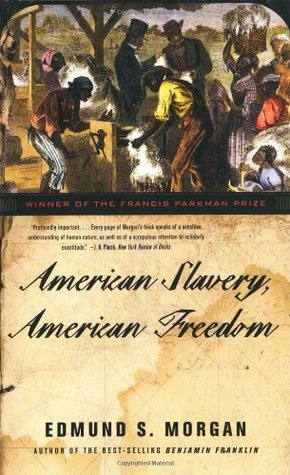 I own three copies of Edmund Morgan's American Slavery, American Freedom (New York, 1976), the legacy of a ... Morgan's analysis of slavery and its relationship to racism, populist politics, and republican ideals of freedom begins in the final hundred pages of his book.